Credit cards can be a great financial tool. It provides instant finances at the time of an emergency; you can use it to purchase something and pay the due amount later. If you use a credit card responsibly, it can aid you to increase your CIBIL score and help you to accumulate credit card reward points. Reward points are a type of loyalty program that gives you a certain amount of ‘points’ against the money you spend. Most financial institutions provide feature-rich credit card that offer a handsome number of reward points as a welcome gift upon signing up and as you utilise the card. Once you have a sufficient amount of points in your account, you can redeem it to earn discounts, air miles, gift vouchers, and numerous other types of benefits. There are various ways to use credit card reward points. Attend exclusive events – Various financial institutions offer access to exclusive events in exchange of reward points. This allows their members once in a lifetime experiences like celebrity meets or music and prize ceremony, etc. You can also get early access to movies, theatre, or concerts. Most of these fall under a lender’s insider access programs. You have to be a regular customer of their services and should have a substantial amount of reward points at your disposal to avail this benefit. Fund your travel – If you are an avid traveller, you can convert the credit card reward points into travel miles. Most credit card lenders provide the option to redeem the points into air miles, which reduces airfare or adds extra benefits during the journey. You can also get discounts on hotel stays or with package tours organised by various travel companies. Travel mile is one of the most popular methods to redeem reward points. It can get you anything from a small discount to almost a free vacation. Redeem it for cashback – Another popular method to redeem reward points is using it for cashbacks. In this scenario, a certain percentage of the purchase will be given back to your account. It is especially helpful for frequent shoppers who use credit cards to pay for their purchases. Get gift cards and vouchers – Many financial institutions provide gift cards and vouchers for shops they are affiliated with. It helps you save money on your purchase of a goods or service from that particular outlet. Certain lenders also offer online coupons which discount a certain products price when you purchase it online. Earn cash – You can also redeem credit card reward points for hard cash. It offers you the freedom to redeem all, or some of the accumulated reward points in exchange for cash. Purchase fuel – Some financial institution also offers discounts on fuel if you use reward points at petrol stations enlisted with them. This can protect you against the ever-increasing price of fuel. Various financial institutions also have fuel surcharge protection schemes bundled with their reward programs. For example, if you use Bajaj Finserv RBL Bank SuperCard, you will get up to Rs. 200 as surcharge waiver on fuel prices. This can help you save a significant amount of money, especially if you use your car regularly. SuperCard combines the benefits and features of 4 cards in one. The RBL card offers from Bajaj Finserv provides various class leading features like an emergency loan, interest-free cash withdrawals, effortless EMI conversions, and a substantial amount of reward points as a welcome gift. Bajaj Finserv also provides pre-approved offers for credit cards and various other financial products and services. These simplify the process and helps you save time needed for financing. You only have to provide some necessary details to check your pre-approved offer. 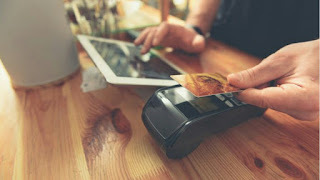 Depending on the financial institution and the amount of credit card reward points you have accumulated, you can opt for various other types of usage and benefits in exchange. From shopping to travelling, look for ways to maximise the perks as you become familiar with your lender’s reward programs and offerings.